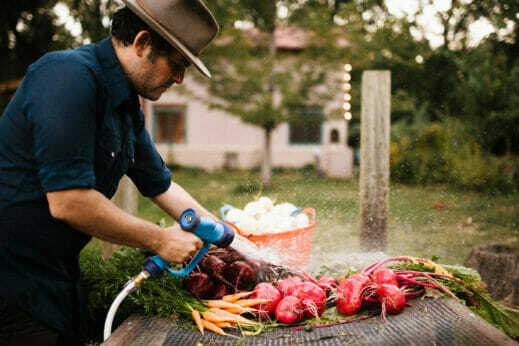 Indie folk musician and farmer Gregory Alan Isakov might be the only top 10–ranked Billboard musician, watering his garden beds while touring the road via Bluetooth sprinkler system. On an average day in May (once touring has ended), Isakov is working in his sucrene lettuce bed on a four-acre farm in Boulder, Colorado. Come twilight, he is writing lyrics or recording music with bandmates in his soundproofed barn. It’s no surprise that the title of his latest and fourth full-length album is titled Evening Machines, composed of songs like “Dark, Dark, Dark” and lyrics like “I’m a ghost to you/You’re a ghost to me.” His connection with the land echoes through the songs that have drawn crowds on his sold-out North American tour. Isakov also sells three varieties of heirloom seeds and is on his fifth generation of Chihuahua blue corn. “It gets better each year because it knows my soil,” says Isakov. Entering his sixth season on the farm, Isakov finally feels like he knows his own soil. 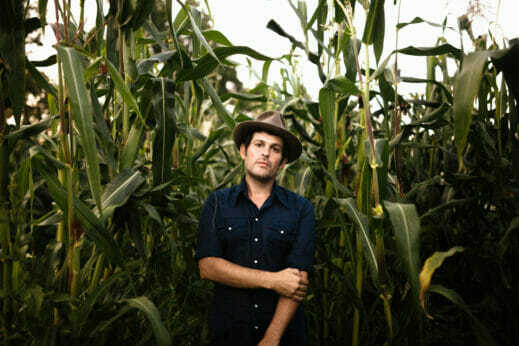 The life of a musician can be a transient one, and the farm is keeping him rooted. Hello Amanda, I read your article. It is amazing and easy to understanding. And your writing skill is excellent. I got lots of knowledge..Keep it. Thank you. Love the musical work of Gregory, glad to know he’s a farmer and man of the land as well. Love GAI so much. Life changing music. I had no idea! I like his music and am a gardener. It’s all coming together!